There is a common misconception that wild seafood is the only “real food” since it is out in the wilderness free of contaminants and human manipulation. This is actually untrue since many pollutants make their way into the oceans from the air and land, contaminating our seafood. 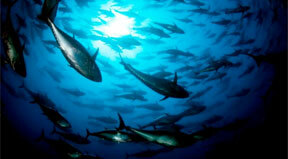 Wild seafood is prone to overfishing, with 90% of all big fish now missing from the ocean. Fishing practices can also damage the ocean environment in other ways, such as scraping the bottom with trawlers; catching unwanted species in bycatch; and harmful debris like ghost nets and lost fishing gear. 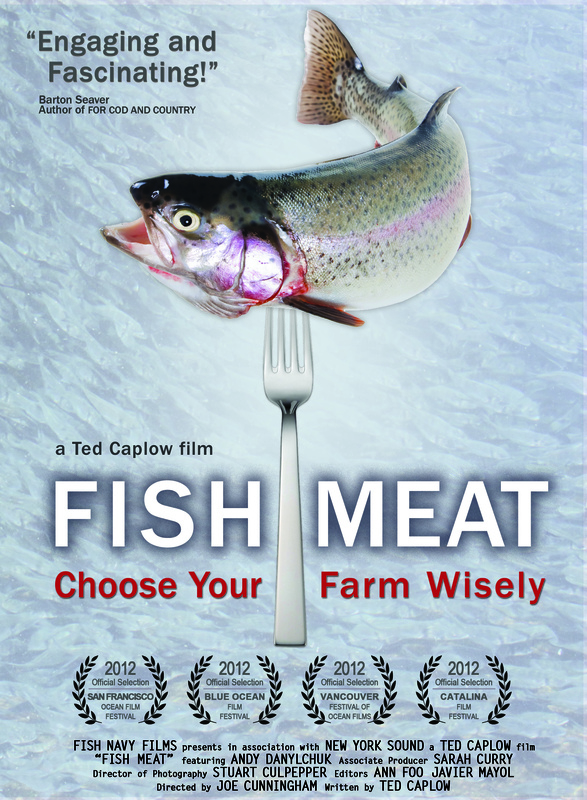 As we learned in the film Fish Meat it is important to choose your farm wisely. Sustainable seafood farms do exist, and when aquaculture is done right it is a beautiful thing. It’s still important to check up on where your fish was farmed though, since there are some countries that don’t regulate their farms as strictly as here in the US. Unsustainable fish farming practices can lead to fish that require large amount of fish feed (made from wild fish! ); farms that pollute the surrounding environment with waste and chemicals like antibiotics; and farms that experience a high rate of escapes that could lead to a tainted wild gene pool. Over half your seafood is farmed. With over 7 billion people on this planet and our increasing appetite for seafood, fish farming is the only way to keep up with the demand. Check the labels on the seafood you buy at the supermarket. We bet you’ll see a surprising amount of the seafood you eat is from aquaculture. The taste of your fish depends largely on what it eats and how it was raised. In Fish Meat the carp farmer had discovered that putting mesh on the bottom of his ponds removed the “muddy” taste in his product. Likewise TwoXSea discovered that turning their McFarland trout vegetarian improved the taste of their fish. We find that farmed tilapia is a great fish because it takes on the flavor of whatever you cook it in. While the majority of our seafood is imported, there are many local options and increasingly sustainable aquaculture operations in the US. Trout, catfish, clams, barramundi, and even tilapia are grown here. We encourage you to check the labels at the fish counter or frozen section to choose US grown seafood. Not only does this help our economy but you will know that these farms have stricter laws regarding the use of chemicals and disease control.